27–year–old Mira travels from Switzerland to Iraqi Kurdistan to look for her father she has never met. All that she has is an old letter and a faded picture. She is all excited and full of hope; little does she know that she is embarking on a journey that will change her life forever, a journey to the breath–taking landscapes of Kurdistan but also to the political reality teeming with conflicts, which the film portrays from a completely new perspective. Once in Kurdistan, Mira encounters terrorism, crimes, and street justice but also love. The film depicts two of life’s greatest tragedies: not having one’s wishes fulfilled and having them fulfilled. Shot in Switzerland and Kurdistan in 2014, the picture is kind of a reverse take on the life of its maker, Mano Khalil, who was born and later imprisoned in Syria and then found asylum in Switzerland. 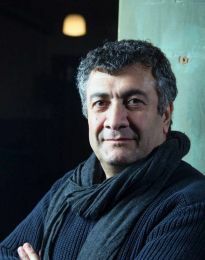 Mano Khalil (1964) is a Kurdish–Syrian film director. Having studied history and law at Damascus University, he moved to Czechoslovakia in 1987 to study film directing. Between 1990 and 1995 he worked as an independent film director for Czechoslovak and later Slovak Television. Since 1996 he has lived in Switzerland. His documentary, The Beekeeper, was screened during the 2015 Human Rights Arts & Film Festival in Melbourne, Australia. The Swallow is his first feature fiction film.